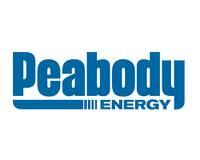 US giants Peabody energy Group, has announced it will cut an additional 170 jobs from its operators in Australia. The largest private-owned coal miner, had cut a further 230 jobs in Australia from the company in June. Due to the weak commodity prices and the higher costs, the total losses of jobs from the industry in the past year have surpassed 11,000 jobs. “Peabody has announced that it is reducing its employee workforce numbers by eliminating 400 positions, approximately 170 employees, from its Australian operations,'' a representative from the company said. The job cuts would take place in the Peabody’s Australian operations, in the states of Queensland and New South Wales, where they produce coking coal and thermal coal. Thermal coal prices dropped by more than 30% in the last two year to approximately $80 per tonne, while the coking coal prices fell by 40% in the previous year to $130 per tonne.